This German-made Ushio/Hamilton 10000K metal halide bulb offers excellent coloration and intensity. Crisp Ice White appearance, full spectrum—the combination of different wavelengths produce different colors in the spectrum and appear to the naked eye as crisp ice white light. Significantly brighter than U.S. made 10000K bulbs. Use alone or add Actinics for a bluer effect. This bulb has a heavy concentration wavelength spike in the 420 and 460nm (nanometer) range with additional concentration spikes in the 380nm, 550nm and 580nm wavelengths. Tested in Germany—simulates natural daylight as in the ocean at depths up to 13 feet. Longer life—TRUE-10000K Metal Halide has an exceptionally high rated life. Very High Color Rendering Index of 95 CRI. Actinic supplementation may be used to create a bluer look. This bulb will work with a standard magnetic ballast, magnetic pulse-start ballast, magnetic HQI ballast or electronic ballast. on how the different Kelvin ratings appear and more information on metal halide bulbs. 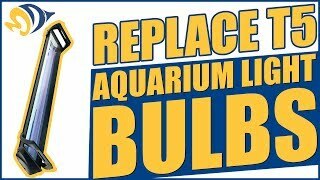 NOTE: The bulb should be handled carefully during installation and replacement. **Please Note** Pulse start type lamps may ignite and work just fine on a probe start ballast for a few months; however, as the lamp ages, the electrodes erode and higher voltage is needed to start the lamp. The open circuit voltage provided by probe start ballasts is not sufficient to ignite a pulse start lamp. Hamilton Technology is the leading manufacturer of high quality aquarium lighting offering customers the widest selection of metal halide, compact fluorescent and VHO lighting available today at the lowest prices. Their mission is to offer state-of-the-art lighting that meets high standards of quality, innovation and value. Hamilton Technology has served the lighting needs of both the professional and the hobbyist aquarist for more than sixteen years and is considered by many to be the choice of experts.